Spend a week as a scientist! Perform experiments! Explore chemistry, electronics, and physics with Wesleyan professors this summer. Campers will meet college student mentors, learn about science careers, create scientific posters, and share what they learn with family and friends at a Science Showcase. This is a wonderful opportunity for girls entering grades 4, 5 and 6 to spend a week as a scientist this summer at the Green Street Teaching and Learning Center’s Girls in Science Camp from August 1-5, 2016. 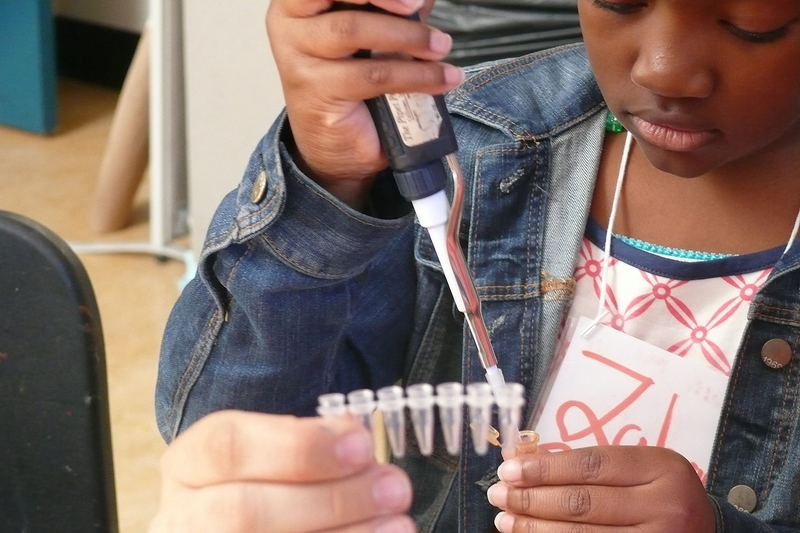 Campers will explore biology, chemistry, physics, and more with Wesleyan Professors Erika Taylor, Ishita Mukerji, Michelle Personick, and Candice Etson. Campers will meet college student mentors, perform experiments, create scientific posters, learn about science careers, and share what they learn with family and friends at a Science Showcase on August 5. Inspired yet? You can read all about last year’s camp here. The camp is held daily from 8:30 a.m. to 4 p.m., with breakfast and lunch included. The cost is $370 for the week. A limited number of full scholarships are available for free lunch students, partial scholarships may also be available. If you would like to request a scholarship, please write a letter to our director, Sara MacSorley, telling us how your daughter would benefit from this camp and why you currently need assistance along with documentation of your child’s free lunch status. The application deadline is June 30, 2016. Space is limited! For more information or to apply, visit Green Street’s website or call (860) 685-7871.